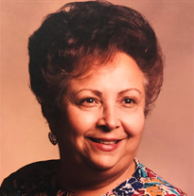 Teresa M. Pivacco, of Orlando Florida, went to the Lord on December 4, 2018 at the age of 89. Teresa (“Tessie”) was born in New York in 1929. As an only child, she considered her first cousins Vinnie, Gloria and Carmen her siblings. During the Depression, they were loved and supervised by their Grandmother and Aunts. Teresa’s parents worked in the garment district to support the family. Neither the Great Depression nor any other obstacles in Teresa’s life, discouraged her desire to marry and have a family. Her strength to overcome will always be an example to her family.In her teen years Teresa escaped New York’s cold weather and moved with her mother and father to Miami, Florida. It was there she met and married her husband John (the love of her life). They recently celebrated their sixty-seventh (67) anniversary on November 24th. While raising her children, Teresa worked as a secretary at St. John the Apostle Church in Hialeah, FL for thirty-seven years (37). In addition to her secretarial job, she was a volunteer for church Bingo and the church cafeteria. She also drove the girls volleyball team members to the scheduled games and cheered them on. She chaperoned many CYO (Catholic Youth Organization) dances. Teresa is survived by her husband and three children. Adrianne Osweiler (married to Phillip), Julie Dunbar (married to Mike) and her youngest and favorite, John (married to Harriet) who blessed her with four granddaughters (Dorianne, Stephanie, Cassandra and Katherine). In addition, Teresa has two great grandchildren, Janna Rose and Ali John. The family is grateful to Davita Winter Park Home PD Dialysis Team for their special care of our mother for close to three years, It was through their love and care that gave us more time with our Mother. A special thanks to Hospice of the Comforter who lived up to their name and dedication to the special needs of our community but especially our mother. Any contribution given to Hospice in the name of Teresa is truly appreciated by her family.